Ježík M, Blaženec M, Kučera J, Strelcová K, Ditmarová L (2016). The response of intra-annual stem circumference increase of young European beech provenances to 2012-2014 weather variability. iForest 9: 960-969. 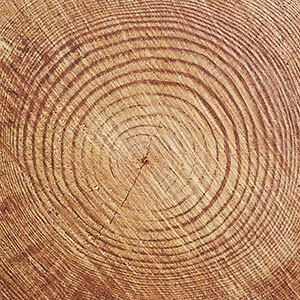 Green report 2013: report of the forestry sector in the Slovak Republic for the year 2012. Ministry of Agriculture and Rural Development, Bratislava, Slovakia, pp. 25. Modeling variability of wood density in beech as affected by ring age, radial growth and climate. Trees 18: 264-276. Intra-annual variations in climate influence growth and wood denstity of Norway spruce. Tree Physiology 25: 651-660. Present and forecasted xeric climatic limits of beech and sessile oak distribution at low altitudes in Central Europe. Annals of Forest Science 68: 99-108. Tree ring variation, wood formation and phenology of beech (Fagus sylvatica) from a representative site in Slovenia, SE Central Europe. Trees 22: 749-758. Daily weather response of balsam fir (Abies balsamea (L.) Mill.) stem radius increment from dendrometer analysis in the boreal forests of Québec (Canada). Trees 17: 477-484. Dendrometer and intra-annual tree growth: what kind of information can be inferred? Dendrochronologia 25: 113-124. Growth variations of common beech (Fagus sylvatica L.) under different climatic and enviromental conditions in Europe - a dendroecological study. Forest Ecology and Management 173: 53-78. Modeling day to day stem diameter variation and annual growth of balsam fir (Abies balsamea (L.) Mill.) from daily climate. Forest Ecology and Management 262: 863-872. Wood structural differences between northern and southern beech provenances growing at a moderate site. Tree Physiology 34: 882-893. Climate influence on radial growth of Fagus sylvatica growing near the edge of its distribution in Bükk Mts., Hungary. Dendrobiology 72: 93-102. Potential risks for European beech (Fagus sylvatica L.) in a changing climate. Trees 21: 1-11. Trade-off between height growth and spring flushing in common beech (Fagus sylvatica L.). Annals of Forest Science 68: 975-984. Differentiation in phenological and physiological traits in European beech (Fagus sylvatica L.). European Journal of Forest Research 134: 1075-1085. A comparison of genetic diversity and phenotypic plasticity among European beech (Fagus sylvatica L.) populations from Bulgaria and Germany under drought and temperature manipulation. International Journal of Plant Sciences 176 (3): 232-244. Intraspecific variability in frost hardines of Fagus sylvatica L. European Journal of Forest Research 134: 433-441. Intraseasonal stem circumference oscillations: their connection to weather course. Folia Oecologica 34: 105-115. Impact of the 2003-2008 weather variability on intra-annual stem diameter changes of beech trees at a submontane site in central Slovakia. Dendrochronologia 29: 227-235. Assessing seasonal drought stress response in Norway spruce (Picea abies (L.) Karst.) by monitoring stem circumference and sap flow. Ecohydrology 8: 378-386. Rapid climate change-related growth decline at the southern range-edge of Fagus sylvatica. Global Change Biology 12: 2163-2174. Climatic drivers of hourly to yearly tree radius variations along a 6 °C natural warming gradient. Agricultural and Forest Meteorology 168: 36-46. Does reduced precipitation trigger physiological and morphological drought adaptations in European beech (Fagus sylvatica L.)? Comparing provenances across a precipitation gradient. Tree Physiology 35: 949-963. Local adaptations to frost in marginal and central populations of the dominant forest tree Fagus sylvatica L. common garden experiments. Ecology and Evolution 4: 594-605. Responses of decidous forest trees to severe drought in Central Europe. Tree Physiology 25: 641-650. Juvenile growth response of European beech (Fagus sylvatica L.) to sudden change of climatic environment in SE European trials. iForest 2: 213-220. Comparing the intra-annual wood formation of three European species (Fagus sylvatica, Quercus petrea and Pinus sylvestris) as related to leaf phenology and non-structural carbohydrate dynamics. Tree Physiology 32: 1033-1043. Drought-driven growth reduction in old beech (Fagus sylvatica L.) forests of the central Appenines, Italy. Global Change Biology 14: 1-17. A quantitative analysis of the interactions between climatic response and intraspecific competition in European beech. Canadian Journal of Forest Research 27: 277-284. Turgor pressure moves polysaccharides into growing cell walls of Chara corallina. Annals of Botany 95: 967-979. Are marginal beech (Fagus sylvatica L.) provenances a source for drought tolerant ecotypes? European Journal of Forest Research 128: 335-343. Conifers in cold environments synchronize maximum growth rate of tree-ring formation with day length. New Phytologist 170: 301-310. Evidence of threshold temperatures for xylogenesis in conifers at high altitudes. Oecologia 152: 1-12. Latitudinal population transfer reduces temperature requirements for bud burst of European beech. Plant Ecology 216: 111-122. Plastic growth response of European beech provenances to dry site conditions. IAWA Journal 34 (4): 475-484. Provenance plasticity of European leaf beech traits under differing environmental conditions at two Serbian common garden sites. European Journal of Forest Research 134: 1109-1125. Different reactions of central and marginal provenances of Fagus sylvatica to experimental drought. European Journal of Forest Research 133: 247-260. Temporally resolved wood density variations in European beech (Fagus sylvatica L.) as affected by climate and aspect. Annals of Forest Research 55: 113-124. Thinning prolongs growth duration of European beech (Fagus sylvatica L.) across a valley in southwestern Germany. Forest Ecology and Management 306: 135-141. Meteorological forcing of day-to-day stem radius variations of beech is highly synchronic on opposing aspects of a valley. Agricultural and Forest Meteorology 181: 85-93. “Changes” of the thermal continentality in Central Europe between the years 1951 and 2013: case study - Slovak Republic. Earth System Dynamics Discussions 6: 1261-1275. The impact of the 2003 summer drought on the intra-annual growth pattern of beech (Fagus sylvatica L.) and oak (Quercus robur L.) on a dry site in the Netherlands. Dendrochronologia 25: 103-112. EUFORGEN Technical Guidelines for genetic conservation and use for European beech (Fagus sylvatica). Bioversity International, Rome, Italy, pp. 6. Intra-annual radial growth and water relations of trees: implications towards a growth mechanism. Journal of Experimental Botany 57: 1445-1459.